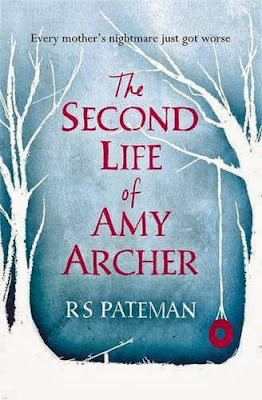 Last week I read and reviewed the debut novel from R S Pateman - The Second Life of Amy Archer. I was really impressed by this exceptional story, and particularly enjoyed the style of writing and the ending. It was published by Orion in trade paperback in July 2013. I'm delighted to welcome the author to Random Things today. Rob has agreed to answer some questions and is also offering two signed copies of The Second Life of Amy Archer to readers of the blog. 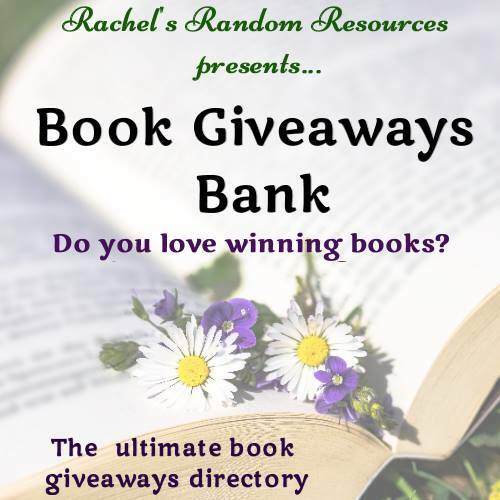 It's really easy to enter the competition, you must be a follower of this blog and it's for UK readers only - complete the Rafflecopter widget at the end of this article. The competition will stay open for 7 days. I try and alternate fiction and non-fiction. I’ve just finished Lucy Worsley’s ‘Courtiers’ about the goings on at the Georgian court. Before that it was Diane Setterfield’s Bellman & Black which was wonderful. I have a huge to be read pile and try and read in order but have to confess that Donna Tartt’s The Goldfinch has just elbowed its way to the top of the pile. I’m 30 pages in and hooked. I do read the reviews, yes! I think that if someone has taken the time to read my book and then gone to the trouble of writing down their thoughts about it, I owe it to them to listen. 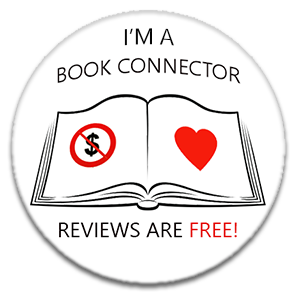 I’ve had some great reviews, and some rotten ones – an ending like the one in my book was always going to draw some sharp criticism. But every review is useful, however much it praises - or stings. The Second Life of Amy Archer took about 10 months in all. My second book, The Prophecy of Bees, has taken longer than that already – and it isn’t even finished yet! By the time it is, I expect it would have taken 16 months. I always clean my glasses before I start work each day. And I clean the computer screen and keyboard between each draft. I don’t always remember to back my work up which has made for some scary moments. The Man Who Didn’t Wash his Dishes by Phyllis Krasilovsky. It’s a very simple story about a man who never washes up until eventually he can’t get into the house for dirty dishes. It features in my novel – like Amy, I kept taking the book out of the library over and over again. Unlike Amy though, my reasons for doing so were far less sinister. The Catcher in the Rye – J D Salinger. Most of Salinger’s work brings a smile to my face at some point – usually right before he socks me in the belly with some telling insight about human nature. Captain Corelli’s Mandolin – Louis de Bernieres. Such a sweet and tender but gripping story. It contains one of the best definitions/descriptions of love I’ve ever read. The title character from Mary Chase’s Pulitzer prize winning play, Harvey. He’s a 6’3” invisible rabbit. I’m inspired by anybody who manages to sit down and complete a book, regardless of genre. It’s such a commitment and leap of faith. But if I had to pick one writer who inspired me to actually get on with it and take it seriously, it would be Sarah Waters. Her story telling is immaculate. ALL of my reading is a guilty pleasure as I feel I should be writing a book instead of reading one! I’ve only ever re-read two books in my whole life. We Need to Talk About Kevin – Lionel Shriver and The Catcher in the Rye, J D Salinger. The God of Small Things – Arundhati Roy. I just couldn’t get into it at all. I hate abandoning books but it was just unavoidable in this case. For your chance to win a signed copy of The Second Life of Amy Archer, just follow this blog and enter your details in the Rafflecopter widget below - UK entries only. GOOD LUCK! Sophie is a happy 18-year-old living in London with Anna, her Irish mother. Anna has devoted her life to Sophie. It may be just the two of them - no father nor grandparents, no uncles nor aunts - but Anna has more than enough love to give. Sophie has everything she could ever need. Laura is a not-so-happy artist. She too has a daughter, Mandy. But Laura is haunted by the loss of her first child, Jody. Happy-go-lucky as she is, Mandy lives in Jody's shadow and wonders why her mother can never let go. It has been well over six years since I read Sinead Moriarty's trilogy about Emma Hamilton; The Baby Trail, A Perfect Match and From Here To Maternity. I remember really enjoying the series, but for some reason I've not read any of her later novels. 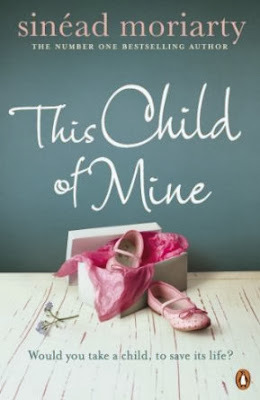 I've just finished This Child Of Mine, her eighth novel which was published in Penguin Paperback on September 26th 2013, and am wondering why/how I missed out on the others? I was totally and utterly hooked by This Child of Mine from the very first page. Sinead Moriarty's writing flows beautifully, her characters are charming and very realistic - they are flawed, but with very good reason. The subject matter is dark and emotional, the consequences of the character's actions are devastating, causing long-term suffering, yet this is not a harrowing or morbid read. There is humour amongst the angst and warmth amongst the heartbreak, and Moriarty has expertly balanced this story. To talk too much about the actual plot line would give away the detail and would spoil the novel for anyone who has not yet read it. However, the reader is aware of what has happened long before most of the characters find out, and as the story unfolds and more is learnt about each character, the story and the sympathies alter. Polished and almost perfect, this is a novel that kept me gripped until the very last page. My thanks to Catherine at Penguin, Ireland who sent my copy for review. Sinead Moriarty lives in Dublin with her husband and their three children. This Child Of Mine is her eighth novel. Ten years ago she disappeared without a trace...now she's back. The Second Life of Amy Archer by R S Pateman has been marketed as a psychological thriller that will appeal to fans of Before I Go To Sleep by S J Watson. This is R S Pateman's debut novel and was published in hardback and trade paperback by Orion on 18 July 2013, the paperback edition will be released in April 2014. There is something incredibly compelling about this novel, and despite the fairly lengthy chapters, the reader will keep on turning the pages to see what is around the corner. The story is narrated in the first person by Beth Archer, the mother of Amy. Ten years ago Amy disappeared, it was the night of Millennium Eve and Amy was just ten-years-old. Beth has spent the last ten years desperately trying to find out what happened on that night. Her marriage to Amy's father Brian has collapsed and Beth lives alone - with just her memories and appears to be quite unstable and erratic. Then, out of the blue, Amy returns. Or does she? Esme is a small girl who claims that she is Amy. She looks like Amy, she knows things about Amy - but she's the same age as Amy was when she disappeared. Is this a case of reincarnation, or are Esme and her mother Libby confidence tricksters? Beth dearly wants to believe that her little girl has been returned to her, she has visited many psychics over the years, she is prepared to believe anything - she just wants Amy home and safe. As events unfold, Beth is driven almost to distraction, she's not the most stable of characters to begin with and this new nightmare sends her closer and closer to the edge. R S Pateman has written an exceptional debut in The Second Life of Amy Archer, he has managed to get into the head of a distraught mother very well. One would expect the reader to be wholly sympathetic to Beth, after all she is a mother who has lived everyone's worst nightmare. But she has an edge, she is an uncomfortable character and although the reader wants to believe her, it's difficult to accept her version of events and her actions at times. This novel deals with some pretty dark and disturbing issues, it's not a read that will make you feel happy and joyful, it broods and the characters are often in despair. It is however, a read that encourages the reader to think hard about things, it doesn't serve everything up on a plate, the reader often has to make their own decisions. A story with an unreliable narrator and a very ambiguous ending. Some readers will hate that ending, but not me. Life rarely goes the way that you want it to so why should fiction? At age eight, Jenny Rowan was abducted and kept for two years in a box beneath her captor's bed. Eventually she escaped and, after living for eighteen months on cast-offs at the local mall, was put into the child-care system. Suing for emancipation, at age sixteen she became a legal adult. Nowadays she works as a production editor for the local public TV station, and is one of the world's good people. One evening she returns home to find a detective waiting for her. Though her records are sealed, he somehow knows her story. He asks if she can help with a young woman who, like her many years before, has been abducted and traumatized.Initially hesitant, Jenny decides to get involved, reviving buried memories and setting in motion an unexpected interchange with the president herself. 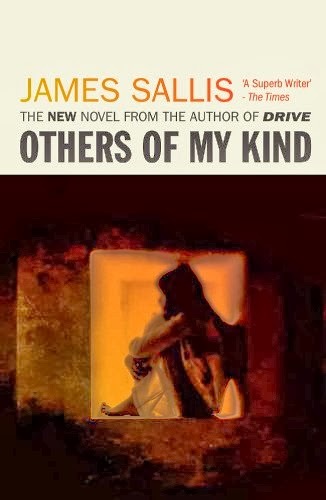 As brilliantly spare and compact as are all of James Sallis's novels, Others of My Kind stands apart for its female protagonist. Set in a near future of political turmoil, it is a story of how we overcome, how we shape ourselves by what happens to us, and of how the human spirit, whatever horrors it undergoes, will not be put down. James Sallis is an American author, best know for his Lew Griffin novels and Drive; his 2005 novel that was adapted for the cinema. Others Of My Kind is his latest novel, published in the UK by No Exit Press on 27 October 2013. Sallis is an author that I've not come across before, his novels are best described as noir crime - or 'hardboiled' fiction which would never be my first choice when selecting my next read. Others Of My Kind should probably be described as a novella, rather than a novel - the paperback copy has just 157 pages and can easily be read in one sitting. The writing is spare, not a word is wasted, but despite this, the story is well defined, expertly executed and features a cast of characters who are very ably led by the protagonist Jenny Rowan. Jenny is a successful TV editor, her work is well-known and well-respected. She lives simply and sees the good in people. Her neighbours, friends and colleagues do not know that Jenny was once the Mall Girl - an eleven-year-old who was found living in a shopping mall after escaping from a man who had abducted her and kept her in a box under his bed. When Detective Jack Collins calls on Jenny and asks her to speak to a young woman who is traumatised after a similar experience, Jenny's memories begin to haunt her again. The story is set sometime in the near future, although the actual year is not disclosed. American is at war, the White House is on full security and the news is full of scandals. Jenny does her best to help people wherever she can, she seems to bear no resentment towards the man who robbed her of her childhood, preferring instead to use the experience in a positive way - to see the best in others and to offer hope to those who are suffering. Others Of My Kind is really not my usual sort of read, but I enjoyed it very much. Part of the beauty in this book is its length and the eloquence of the writing. It doesn't have a fast paced plot, it's more of a discovery of human kind and how horrific experiences don't always mean the destruction of character. I received and reviewed my copy of Others Of My Kind as part of the Real Readers programme. When Amy Carrell's wealthy boyfriend ends their relationship just before Christmas, she's left to nurse her broken heart alone. With nothing to lose, she replies to an advertisement requesting a companion for a mysterious 'Manhattan adventure'. 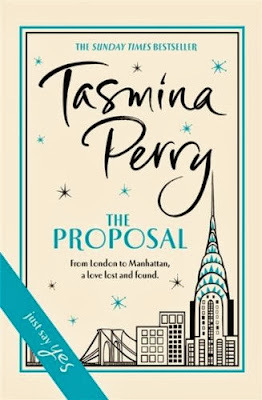 The Proposal is Tasmina Perry's ninth novel and will be published in hardback by Headline Review on 7 November 2013. I've been a fan of Tasmina Perry's writing for a long time and have devoured her books, they are perfect for holiday reading - laying on a beach, or around the pool under a blue sky whilst sipping a long cool drink - perfect! However, I was a little disappointed by her last two books; Perfect Strangers (2012) and Deep Blue Sea (2013). The writing is still great, but she had changed direction, these two are more mystery/thriller type stories, and for me, they just didn't work quite as well as her earlier novels. I was really interested to read the blurb for The Proposal, it promises that this is Tasmina Perry "as you've never seen her before" - I wondered which direction her writing was going to take this time. This is most certainly the right direction for Perry! For me, this was a damn-near perfect read. For one, it's a dual-time narrative and I always enjoy those and secondly there are two fantastic lead female characters, both of whom are interesting, sassy, well-drawn and incredibly realistic. Amy Carrell is an American dancer living in London, waiting on tables whilst trying to get her 'big break. She's in a relationship with Daniel and is expecting a proposal after coming across a Tiffany giftbox hidden away in his sock drawer. Amy is heartbroken when Daniel makes it clear his family do not think that a dancer is the right and proper occupation for his future wife. It's almost Christmas, Amy has no money and is home-sick. She spots an advertisement in The Lady and applies straight away. Before she knows quite what is happening, Amy finds herself hired to accompany the elderly, but very elegant Georgia Hamilton on a trip to Manhattan. As Amy and Georgia travel and spend time together, the story slips back to the 1950s when Georgia was doing 'the season' as a debutante. 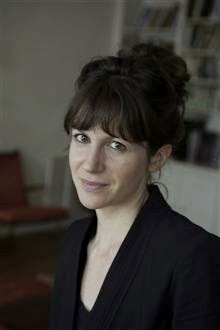 Tasmina Perry has really brought to life those exciting and glamorous times, her writing evokes the sounds and the styles of the parties, the balls, the dresses and the foods - and yes, underneath all of the glitz, the desparation of both the girls and their parents. Appearing to have it all, they are determined that they will marry well. Rippling beneath the surface, hiding behind the sparkle and dazzle, the reader is exposed to the dirty tricks that are played in the fight to bag the best marriage. Georgia appears to have it all. She's a self-made millionaire, she's been to the very top of her profession, she lives in a beautiful apartment and money is no object. It is clear to Amy though that Georgia also has hidden secrets, a sadness that is hidden deep inside. Over their days together, Amy learns more about Georgia's past and finally her hidden despair is revealed. I enjoyed every page of The Proposal, it's one of those books that you sit down to read a couple of chapters and before you know it you are over half way through the story. The writing is excellent, the descriptions of both London and New York are so well drawn, the reader is thrust into the action straight away. Perry's characters are just perfect and the dialogue and connection between them is incredibly realistic. This is Tasmina Perry truly back on form - I'd be happy if she continues in this direction. 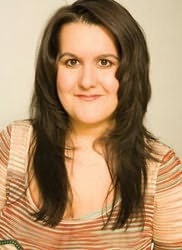 Tasmina Perry is the author of the huge Sunday Times Top Ten bestsellers Daddy's Girls, Gold Diggers, Guilty Pleasures, Original Sin, Kiss Heaven Goodbye, Private Lives and Perfect Strangers. She left a career in law to enter the world of women's magazine publishing, going on to win the New Magazine Journalist of the Year award, edit numerous national publications and write on celebrity and style for titles such as Elle and Glamour. In 2004 she launched her own travel and fashion magazine, Jaunt, and was Deputy Editor of InStyle magazine when she left the industry to write books full time. Her novels have been published in seventeen countries. In 1842, two drunken sisters debate their future. Business at the family chocolate shop has ground to a halt. Change is needed. For once, domineering elder sister Maggie doesn't get her way, and a month later Judy, Maggie and Netta Walters - a medium with big hair and a bigger secret - open their seance parlour. The locals are shocked, but soon the shop is crammed with people wanting to contact the dead. Despite their change in fortunes, a rift builds between the two sisters, as Judy gets her novel published, finds a man and proves to be more capable of contacting spirits than Maggie, who can only read tea leaves. So, here we are in October already. Grey, wet and foggy, the memories of our wonderful summer fading, the prospect of winter on the horizon. It's not my favourite time of year. October is the month of Halloween - ghosts and spooks, witches and black cats and horrible hauntings - well, that's what it should be. I think you'd be forgiven for thinking that Halloween these days is all about orange plastic and bags of gaudily coloured sweets being handed out to random children and teenagers knocking on your door. The Blackheath Seance Parlour by Alan Williams is a 'proper' story for Halloween, starting from the eerie cover design and continuing in the pages of what is probably going to be one of the strangest, head-whirling reads of the year for me. It was published by Cutting Edge Press on 1 August 2013. 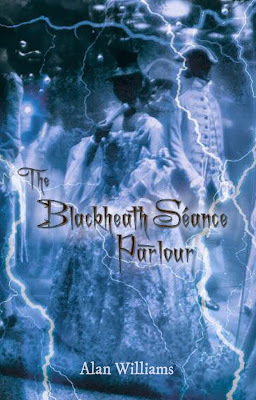 Prepare for a story that feels like a mash up of the best of Dickens' gothic magic and an episode of the (fantastically funny) The League of Gentlemen - it's an incredible tale that takes the reader on a wild ride through the streets of 1840s Blackheath accompanied by a couple of sisters who are completely mad! Basically, it's the story of how Maggie and Judy - two totally crazy, alcoholic sisters, have to save their shop. The locals are not buying chocolate and they need to do something about it, otherwise they are going to starve, and more importantly, they are not going to be able to buy booze. Judy wants to set up a seance parlour, Maggie is not so sure, but eventually Judy wins and they do it. One of the many clever things about this book is that it's actually two stories running together. Maggie is writing a novel, and this is revealed throughout the book too - adding an extra dimension and another insight into just what goes on inside her head - it's strange stuff and almost as compelling as the main plot. I've never physically been to Blackheath, but I feel as though I know every pub and every street intimately. Alan Williams lives there and he has made the place into a character on it's own. There is evidence of meticulous research and I believe that many of the characters involved in this story are based on real people. Here's a book that is perfect for the time of year - sibling love and rivalry, dark and broody gothic setting, ghosts and murders. A splash of humour, a lot of pubs and some cracking dialogue. Huge applause for Alan Williams and to Cutting Edge Press who, once again have found a gem of a book to publish. My thanks to the Cutting Edge Team who consistently feed my book addiction. 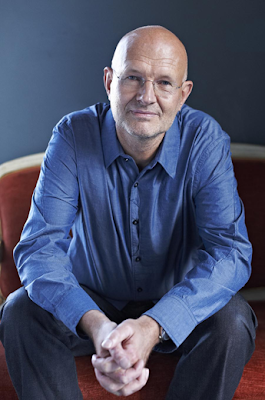 Alan Williams has worked as a script editor for the BBC on shows from Absolutely Fabulous to One Foot in the Grave. He lives in Blackheath, London, and works in the film and television industry. When not procrastinating, Alan is writing a second novel and consuming large quantity of chocolate eclairs. An exciting, tail wagging story about the relationship between Snoopy the shelter dog, and his human friend, comedian Joey Camen. Comedy and calamity ensue with various dogs, cats, and colourful characters you'll meet throughout Snoopy and Joey's thirteen year friendship. Snoopy, the best-looking Sheltie-mix ever to come out of the Burbank Animal Shelter redeems Joey's distrust of dogs from a boyhood incident in Detroit and brings immense joy to his life. Animal lovers will laugh and shed a few tears, as they enjoy this unique and entertaining perspective on the dog-human connection. Who could resist that gorgeous face of Snoopy the Sheltie cross that looks out from the cover of Joey Camen's book? 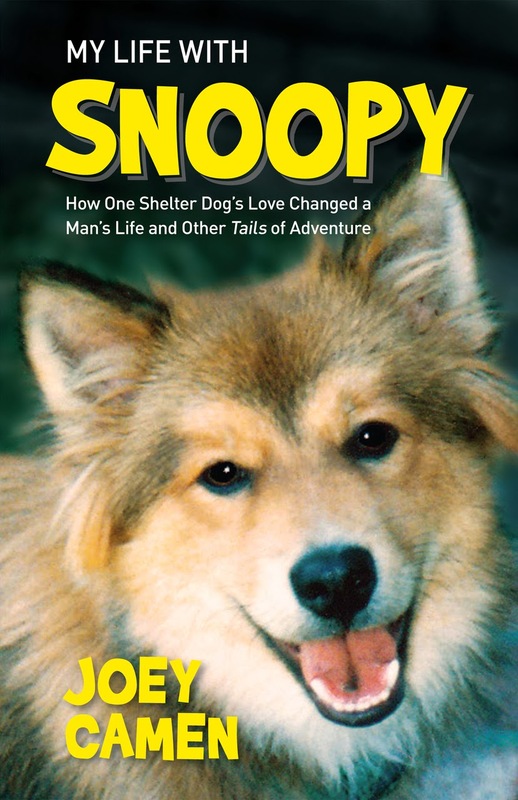 I'm certainly an animal lover, but I'm a cat person rather than a dog person, however, I was smitten when I heard about Snoopy and was more than happy to read and review 'Snoopy' when the author contacted me with his request. My Life With Snoopy is Joey Camen's tribute to the shelter dog that changed his life. Joey had quite an unconventional childhood, and his experiences as a boy had turned him off the thought of owning a dog ..... until he met and fell in love with Snoopy. The story is written from the heart, Joey Camen exposes his true feelings and makes it clear that he is able to do that purely because of the relationship that he had with Snoopy. OK, the writing is a little rough and ready here and there, it could do with some fine-tuning, but this only adds to the sincerity of the story. The author has exposed his vulnerabilities, as a reader you feel as though you've been along on the journey with them, learning from Snoopy and watching Joey banish his demons. Animal lovers, especially dog lovers will enjoy this story. It's often very funny, it's warm and realistic and yes, it is quite tear-jerking in places. My Life With Snoopy was published on 1 October 2013 by Cedar Forge Press to coincide with Adopt-A-Shelter-Dog-Month. The American Society of the Prevention of Cruelty to Animals (ASPCA) recognises October 2013 as Adopt-A-Shelter-Dog-Month. has performed professionally since the age of seventeen in everything from movies, to sitcoms, to Las Vegas showrooms. He was the protege of legendary voice actor Daws Butler - better known as the voices of Yogi Bear and Huckleberry Hound. 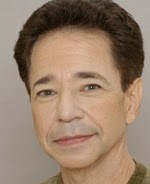 Joey has provided voices for numerous cartoon shows, commercials, movies and video games. My Life With Snoopy is his book writing debut. Joey lives in Los Angeles with his wife and their cat. An underground passage leads from the Dell nursery to Saint Patricia's asylum. Only the children enter, leaving their minders behind. On the other side are their parents - some of the most dangerous psychopaths in the country. Jan has just started working at the nursery. He is a loner with many secrets and one goal. He must get inside the asylum . . . The Asylum is the first book that I've read by Johan Theorin; a Swedish author who has previously written a series of three books; Echoes From The Dead (2008), Darkest Room (2009) and The Quarry (2011). 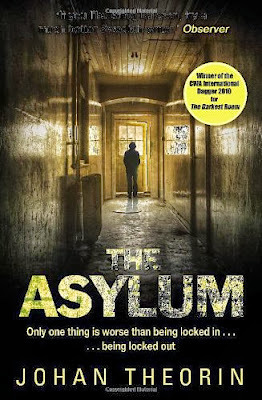 The Asylum was published in the UK by Doubleday, an imprint of Transworld Publishers on 14 March 2013. Jan Hauger has seen a job vacancy that interests him; a classroom assistant is needed at The Dell, the nursery that is run by St Patricia's - a psychiatric hospital that is houses some of the most damaged individuals in Sweden. Jan applies, and is successful, he starts his new job almost straight away and moves to live nearby. It is clear from the beginning that it is not just the vacancy that appeals to Jan - he's a dark and mysterious character whose background appears to be less than salubrious. Slowly, slowly, the author allows the reader to glimpse into Jan's thoughts. This really builds up the dread and menace that pervades this novel, at times I felt a little bit afraid to turn the page, wondering just what is Jan's secret. Jan is not the only character that has other reasons for working at St Patricia's or St Psycho as the hospital is known locally. In fact, this is a cast of characters which seem to be made up of the mad, the lonely and the bitter. The translation from Swedish takes nothing away from the sense of horror that grows throughout the story, the pace builds and the incredibly good descriptions of the hospital add to the feeling of tension. I'll admit that there may have been a coincidence or two along the way that felt a little contrived, but they did work overall. It's not a story to 'enjoy' as such, but the reading experience is great. I'd certainly read more by this author. My thanks to Leanne at Transworld who sent my copy for review. 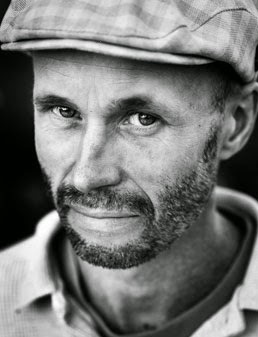 Throughout his life, Johan Theorin has been a regular visitor to the Baltic Island of Öland. His mother's family - sailors, fishermen and farmers - have lived there for centuries, nurturing the island's rich legacy of strange tales and folklore. Coming of age in the patrician neighborhood of Pasadena, California during the 1960s, Rebecca Madden and her beautiful, reckless friend Alex dream of lives beyond their mothers' narrow expectations. Their struggle to define themselves against the backdrop of an American cultural revolution unites them early on, until one sweltering evening the summer before their last year of college, when a single act of betrayal changes everything. Decades later, Rebecca’s haunting meditation on the past reveals the truth about that night, the years that followed, and the friendship that shaped her. 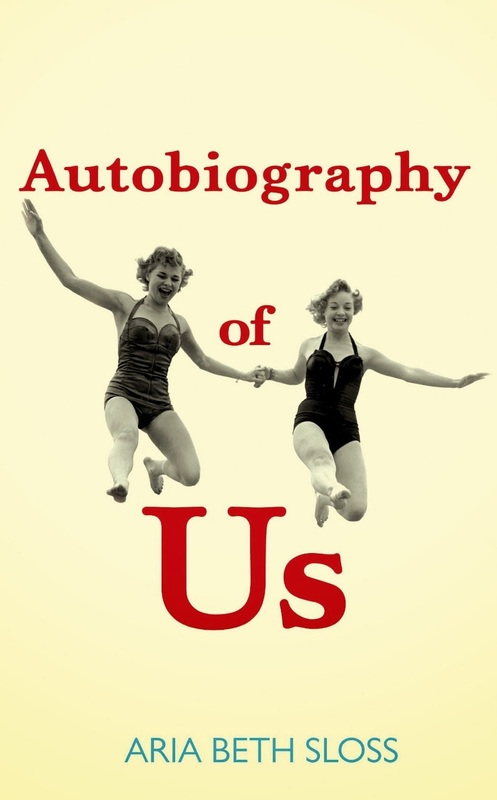 Despite the title, Autobiography Of Us is a work of fiction, the debut novel from Aria Beth Sloss and published here in the UK in hardback by Picador on 9 May 2013, the paperback release will follow in February next year. There is a something of a wistful air about this story, it is a delicate and sophisticated story that moves at a fairly slow pace, yet delivers a punch. Beginning in 1950s Pasedena, California it is the story of a friendship that spans decades. Studious, book-loving Rebecca and out-going, wannabe actress Alex meet as fourteen-year-old schoolgirls. These are two very different girls, with different backgrounds and different aspirations, yet they form a link that remains for many years. Alex can use her acting skills to impress Rebecca, and in turn, Rebecca can see and do things that she would never have contemplated on her own. The girls come of age in the early 1960s and college beckons. It is just before the first term that an event occurs that will alter their life paths. Their closeness dies, they make their own, individual lives. Rebecca is not happy, she has fulfilled her Mother's dreams, she has the life that was planned for her, but she is unsettled with her boring husband, but captivated by her two small children. Although she and Alex are estranged, she continues to write regularly to her, but never posts the letters. Rebecca and Alex meet again years later and try to take up where they left off, this is where the novel ups the pace, but things can never be the same for the women. Told as as a first-person confession, penned by Rebecca, the story is a tale of struggle, of repression, of friendship and of betrayal. At the forefront, the differences and the difficulties the girls endured, not just because they wanted different things, but because of the era that they were growing up in. The lack of choice and of opportunity in the 60s is highlighted, the secrecy that ensured that your neighbours wouldn't judge you, but that also caused extra pain and heartbreak. A slow burner of a novel, but so evocative of the era, with characters that are often quite despondent but hopeful. My thanks to the team at Picador who sent my copy of Autobiography Of Us for review. Aria Beth Sloss is a graduate of Yale University and the Iowa Writers’ Workshop. She is a recipient of fellowships from the Iowa Arts Foundation, the Yaddo Corporation, and the Vermont Studio Center, and her writing has appeared in Glimmer Train, the Harvard Review, Martha Stewart Living, and online at The Paris Review and FiveChapters. She lives in New York City. Over the past few years, since beginning my blog, I've been lucky enough to receive lots of books from both publishers and authors. I've discovered authors and genres that I had never tried before, I've read lots of debut novels from new authors and I'm both honoured and thrilled to have the opportunities. There are some authors however, that have accompanied me through life for many years. 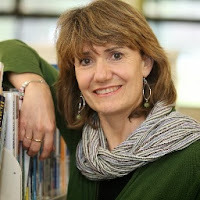 Authors that I've been reading now for twenty years or more, authors such as Lesley Pearse, Bernardine Kennedy, Judy Astley, Marian Keyes and Patricia Scanlan. These are the authors who I know that I can depend on. Their stories have grown and matured over the years, just as I have, but never let me down. One of my blogger friends once described a novel that she'd read as a 'book cuddle', my favourite authors deliver a cuddle every time. So, although I do enjoy new authors and new genres; and I've become especially fond of psychological crime thrillers just lately - there is something special for me when I can lose myself in a story by an old favourite. I was delighted to win a signed, hardback copy of Patricia Scanlan's latest novel With All My Love which was published by Simon & Schuster on 28 February this year, the paperback edition will be released on 13 March 2014.
" On a crystal clear Mediterranean day, Briony McAllister sits playing with her four-year-old daughter, Katie, while she waits for her mother, Valerie, to join them. Valerie has recently moved to a picturesque town in southern Spain to finally leave behind her turbulent past and find a peace that has always eluded her. Briony has no idea that in a few moments' time her relationship with her mother will change irrevocably. As Katie plays, Briony pulls from her bag an old photo album, found in a box in her mother's new home. As she begins to study the faded photos, a letter falls to the ground. It is addressed to her. My Darling Briony, it begins. As Briony reads the words with mounting shock, realisation dawns. Her mother lied to her about what happened with her beloved grandmother Tessa all those years ago - and denied Briony that most precious of relationships, the type of relationship Valerie now enjoys with Katie. The lives of three generations of women are set to change forever as the past is revisited and the truth unfolds through the undelivered letters Tessa wrote to Briony over the years. 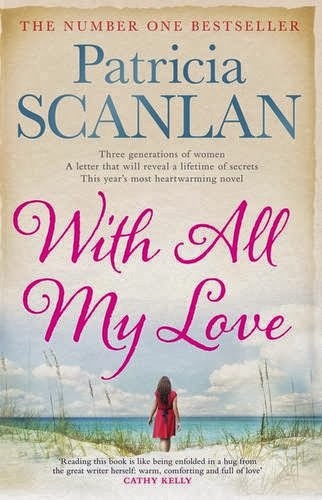 Secrets, lies, betrayals and sacrifices - the complex bonds between mothers, daughters and granddaughters are intricately explored as Patricia Scanlan takes us into the hearts and homes of a family at war." With All My Love is one of the saddest stories that I've read in a very long time. It's not full of sad events (although there are a couple of real heart-breakers), but it is a story of sadness. Sadness that is caused by secrets, by long-held grudges, and by strong women who cannot forget, or forgive. The story begins with a prologue that sets the scene for the remainder of the book. The reader is then taken to modern-day Spain where young mother Briony is spending some time with her small daughter Katie and her mother Valerie in the villa that Valerie has bought. Briony and Valerie's life change suddenly when Briony discovers a letter addressed to her. A letter from her much-loved Grandmother Tessa who she hasn't seen or heard from in over twenty-five years. When Briony realises that Valerie had purposely blocked Tessa and her husband Lorcan from their lives all those years ago, Briony is distraught. The story nips back to the 1980s - when Valerie was a young girl, madly in love with Tessa's son Jeff and planning a life together. The reasons why Valerie made the life-changing decision that she did are revealed throughout the story. Patricia Scanlan effortlessly portrays life in the 1980s through the fashion, food and music of the era. This is Valerie and Tessa's story, two strong-willed, often overpowering and selfish, and startlingly similar to each other. At times both of these characters are incredibly difficult to empathise with. Scanlan has created a couple of realistic female lead characters, their story is powerful and really precisely told. There is bitterness, there is compassion, and there are some heartbreakingly moving scenes which kept me reading until well into the night. Some of the accompanying cast of characters really shone for me, not least Valerie's best friend Lizzie and Tessa's husband Lorcan. Personally, I think that this is one of Patricia Scanlan's very best novels. It delivered everything that I wanted, and a little bit more. A fabulous read that both existing fans and new readers will enjoy. 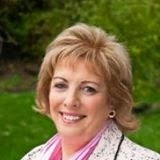 Patricia Scanlan was born in Dublin, where she still lives. Her books, all number one bestsellers, have sold worldwide and have been translated into many languages. Patricia is also the series editor and a contributing author to the Open Door series which promotes adult literacy. Find out more about Patricia on Facebook. Historical fiction is not my favourite genre, and I will admit that Kate Mosse's novel Labyrinth sat upon my bookshelf for well over 18 months before I actually read it. I wanted to read it, I had heard great reviews of it, but it frightened me just a little bit. It's a huge book - enormous in fact, and it's also very very historical. I remember taking the plunge and getting stuck into the story, I loved it - every single page of it. I went on to read the next two in the Languedoc series; Sepulchre and Citadel, and enjoyed those two even more. I guess that Kate Mosse has now become well-know for producing long and quite complex novels, so I was really intrigued to find that she had written a collection of short stories. The Mistletoe Bride & other Haunting Tales will be published by Orion Books on 24 October 2013 - just in time for Halloween, and very appropriate too, these are real ghost stories - the kind that send a shiver down the spine. I do enjoy short stories, but sometimes I feel that they can lack a little something. The story can often feel rushed, or not quite finished off and I did wonder how Kate Mosse would tackle this collection as she usually produces novels with very intricate plot lines and a huge cast of characters. The Mistletoe Bride & other Haunting Tales is a collection of fourteen stories and one play, and Mosse has taken her inspiration from the legends of folklore of both France and England. Most of the stories are set either in the southern counties of England or in the familiar setting of Languedoc, France. Each story has it's own particular style, some are based on the good old-fashioned traditional ghost story, whilst others are more magical, mellow and quite tender. My favourite of the collection is the first story, the one that gives the collection it's name; The Mistletoe Bride. It's one of the shortest stories in the book at just over 30 pages long, but it is just perfect and sets the pace for the rest of the collection. The Mistletoe Bride of the title is an unnamed young woman who the reader knows intimately by the end of her story, she will haunt you with her despair and her passion. She is a character who deserves a whole novel just to herself and was the perfect introduction to this really superb selection of stories. The reader meets a host of troubled characters, each one very different, but each one with their own personal crisis. I savoured these stories. They are so well crafted, as is to be expected from such a successful author, yet they lose nothing at all by being so short. Of course, as in most collections of short stories, there were a couple that I did not enjoy quite as much as others, but as a complete collection, they are a joy to read. Kate Mosse has included a short 'author note' at the end of each of the stories, I found some of these just as interesting as the actual tales themselves. They really help the reader to get a more in-depth feeling about the background of the story, and are a very welcome addition. 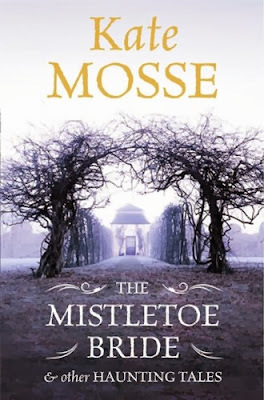 I don't think Kate Mosse fans will be disappointed by this collection at all and I'd urge anyone who has not read any of her full-length novels to start with The Mistletoe Bride to get a taste of her writing style. My thanks to Sophie from Orion Books who sent my copy for review. Accident, suicide, murder. What if they are all connected? And suppose it isn't over? Joey McCarthy is stabbed to death in a seemingly random act of violence. Soon afterwards Matt Stone's terminally ill mother dies and his best friend's sister commits suicide. When he and close friend Libby move into a shared house with five other students they hope to leave the tragic events in their past. But within weeks DC Gary Goodhew finds the body of another suicide victim, leading him to Matt and Libby, and to his own deeply buried memory of a previous case. And there is little to connect the deaths except the creeping feat that someone else is going to die. 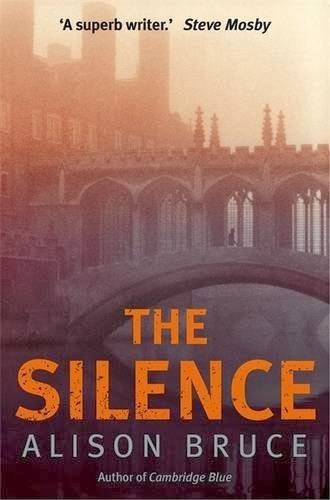 The Silence was published in paperback by C&R Crime : Constable & Robinson on 18 July 2013 and is the fourth in the DC Gary Goodhew series, set in Cambridge. I've been a fan of this series since the first book, Cambridge Blue (2008), this was followed by The Siren (2010) and The Calling (2011). There are many fictional detectives, but there is nobody quite like Gary Goodhew. Still only 27 years old, his character has slowly developed over the series and Alison Bruce is teasing her readers by revealing just a few little snippets into his past with each new story. Goodhew is something of an enigma, a real closed book who only ever really confides in his grandmother. He is sensitive and quite guarded, but seems to be very slowly opening up - the hints to his past are quite tantalising. This is another quite complicated and elaborate plot, with many characters and deaths that at first do not seem to be connected. 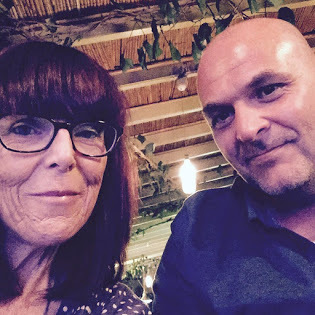 However, Goodhew and his colleague Sue Gully are working well together and between them they come to realise that each one of these seemingly random deaths are intricately linked together. Goodhew and Gully have a natural and quite trusting working relationship, Goodhew seems totally unaware that Gully has a massive crush on him, which makes her more determined to show her worth. Alison Bruce has written another compelling story. This has an ingenious plot line that needs some concentration to follow at times, but is still quite brilliant to read. The tension rises to an almost unbearable pace towards the close of the story, with a pretty remarkable ending. This series really does get better with each book, I'm looking forward to reading The Backs which is the next in the series. My thanks, as always to the team at C&R Crime who sent my copy for review. Alison Bruce was born in Surrey but moved to Cambridge in 1998 where she lives with her husband and two children. The first novel in the Gary Goodhew series, Cambridge Blue was published in 2008, followed by The Siren, The Calling and The Silence. She has also written two true crime books. At eighteen years old, Phyllis Chesler, a Jewish-American girl from Brooklyn, found herself stripped of her rights, without a passport, and trapped as the property of her husband's polygamous Muslim family in Kabul. Lured to Afghanistan by her once adoring, respectful husband, Chesler experienced the most dramatic and horrifying of culture clashes when the man she loved reverted to traditional customs upon returning to his homeland. Secluded, starving, and fearing for her life, Chesler fought against her Afghan family's attempts to convert her to Islam and her husband's wish to permanently tie her to the country through childbirth. Phyllis Chesler is a bestselling author and renowned feminist who has written and studied on gender issues and honour-related violence for the last 40 years. But one part of her life has been a closely-held secret - until now. In her memoir An American Bride In Kabul, which was published by Palgrave MacMillan on 1 October 2013, she tells the dramatic tale of how her harrowing experiences in a harem in Afghanistan shaped her into a modern outspoken feminist leader and life-long defender of human rights. Drawing on her personal diaries, correspondence, memories and research, Chesler recounts her time in captivity, the nature of gender apartheid, and what she learned about Afghanistan, a land with which she was initially bewitched and longed to freely explore. An American Bride In Kabul shows how Chesler turned a terrifying personal experience into a passion for worldwide social, educational, and political reform. 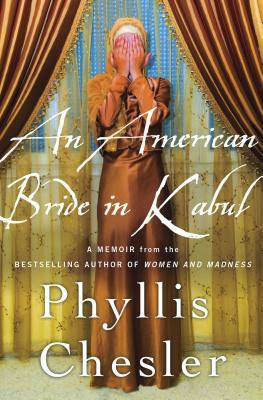 My thoughts on An American Bride In Kabul: I was instantly attracted to this book, although I'll admit that I've not heard of Phyllis Chesler before now. I am fascinated by different cultures and this memoir is particularly relevant at the moment, with debates raging in the media regarding Muslim women's rights to wear the niqab and the burqa. This is not just a memoir, this is an examination of women and their freedom; of culture and of history and Chesler's passion for human rights shines through in her writing. Phyllis Chesler was an ordinary American, aged eighteen, she fell in love with the dark and handsome Abdul-Kareem. They adored each other, discussing music and literature for hours, watching exotic foreign films, sharing the all-American hamburger and eventually sleeping together. Theirs was a modern romance, between them they believe that they can conquer the world, their love will see them through. Phyllis is Jewish, Abdul-Kareem is Muslim, from Afghanistan - they don't discuss religion. When they marry and travel to Afghanistan, Phyllis is excited. She can't wait to see his country, to discover new things, to eat different food, they have their whole life ahead of them. Once on Afghan soil however, things change. Abdul-Kareem changes, he is no longer the Westernised young man that she married. Returning to his homeland has meant a return to a culture where women have no rights, cannot walk about alone, and must do as their husbands tell them. Phyllis rebelled. Used to her freedom and having choices, she did everything she could to keep her identity. There were times when her decisions were obviously very wrong; sunbathing in a skimpy bikini was not a good choice! Phyllis wanted to learn about her new home, she wanted to explore, she was happy to wear the beautiful silks, but she wanted to do it on her terms. There were times whilst I was reading this book when I felt like shouting at Phyllis, I wanted to tell her to give them a chance, to appreciate that she was no longer living in free America. But let's face it, she was badly let down by her new husband, not once did he warn her what would be expected of her, not once did he give any sign that he was anything other than a regular guy, living the American dream, just like her. Phyllis's experience was awful. Luckily, she managed to flee, and today she has a fairly good relationship with Abdul-Kareem, but her experiences in Afghanistan have clearly moulded her into the woman that she is today. This is an engaging and well-written memoir that is powerful in it's message and often very emotional. My thanks to Verity from Palgrave MacMillan who sent my copy for review. Masquerades, deceptions and subterfuge – and that’s just on the heroine’s part. Although Georgiana da Silva is not passionately in love with her cousin Jasper, she has agreed to marry him knowing that this is the only way that she can escape from her Aunt - a woman who has just about endured her and her brother since their parents died. When Georgie discovers that Jasper's intentions are not what they seem, she has to escape. She is determined to travel across the world, to be by the side of her beloved brother in New Zealand. And so the adventures begin. Georgie manages to secure a passage, disguised as a boy and using the skills she learnt from her trapeze artiste parents. 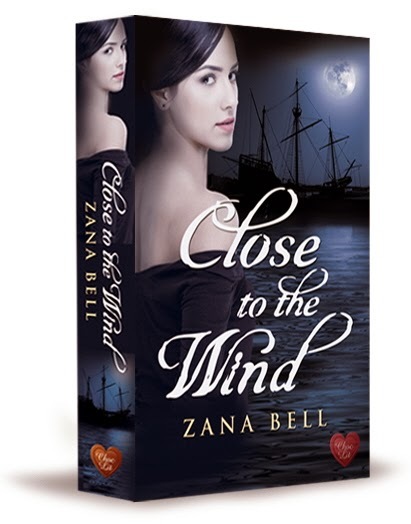 Captaining the ship is the dashing, if a little dangerous Harry Trent; on the run from the law and certainly not interested in taking on any more complications. Harry is not the only love interest during Georgie's journey, she is rescued by the delightful Tom Mellors, a man who is instantly smitten by her. This is a story of adventure, of pirates and a good old-fashioned romance. Georgie is young and quite innocent, but also tough and resilient. She finds it difficult to be completely honest, she worries about getting to her destination, she's often confused about her feelings. Despite this, she's an endearing character, well formed and her interesting background adds another dimension to her character. Close To The Wind is a fun read, it has a dash of suspense, a great plot, a good splash of romance and a great cast of characters. publisher who sent my copy for review.